Boardman Nissan Near Youngstown Can Find Your Used Car For Sale Today! Are you considering a specific vehicle, but you are not certain if Boardman Nissan has it at our convenient Youngstown area facility? Then you will be thrilled to learn our absolutely free used automotive locator service can help you find the used car, truck, or sport utility vehicle (SUV) that piques your curiosity. The most exciting aspect of taking part in the number-one used vehicle locator service near Youngstown? By initiating an inquiry via this service, you can not only get the car you would like to acquire, but you also have the pleasure of skipping over the concerns that appear when engaging with other, less reliable dealerships in the Youngstown area. Considering how significant this endeavor is to making sure your normal routine is always a laid-back affair, how could you ever be happy with anything below the marketplace-defining commitment to topnotch customer service and assistance at Boardman Nissan? Now that we have gone over all of that, feel free to spend a few moments with the group of automotive experts here at Boardman Nissan as we break down all of the specifics. Once we have done this, you will have all of the specifics you must possess to make a well-informed choice when it comes to your automotive outlook. The ideal way to get this dialogue off to a fast-paced start is by handing over a little insight into how we hunt down the pre-owned car that works for you. To start, Boardman Nissan needs a couple of pieces of information from you to learn about the automobile that matches your interests. Luckily, our simple and clear-cut form waiting for you on this page is ready to funnel this information directly to our pre-owned car consultants. As soon as this insight is in our hands, we will kick-start the process of working through our vast resources to bring you the exact pre-owned automobile that is right for you. From this outlook, why would you ever need to waste your precious time searching around in the newspaper or sorting through confusing pop-ups and other pushy ads on slimy used digital portals again? Even more essentially, the group of experts found here at Boardman Nissan will do what it takes and beyond for our fellow community members in Youngstown and Boardman in any way we can. To ensure you get off on the right foot, you can always count on our pre-owned car locator tool being offered at no cost to you. Even though other dealerships might aim to deplete your bank account as part of helping you in the quest for the best used vehicle, we feel that supporting you on this front is essential to constructing a winning dealer environment. Do a Little Research up Front — While window shopping is unquestionably an exciting part of the hunt for your next pre-owned car, try not to be wooed by only the exterior appeal of any car that raises your curiosity. Doing some digging into the vehicle in question's staying power, interior creature comforts, and other criterion that can augment your regular drive will give you the resources necessary to determine if this vehicle is truly your top option. Lean on the Guidance of Others by Connecting with Family and Friends — Leaning on the guidance of others certainly goes far when picking out a used automobile. By reaching out to trusted people close to you, you can gain an entirely new understanding on your used car search — and even come across a perspective or way of thinking that changes how you accomplish this undertaking. Be as Comprehensive as Possible — When completing the pre-owned car locator survey below, the more information and facts you send to the Boardman Nissan team, the more probable it is we will get a hold of the ideal pre-owned vehicle for you in an expedient fashion. Feel Free to Seek Advice from Boardman Nissan's Group of Pre-Owned Vehicle Authorities — If you end up feeling unsure about anything, please tell us! We are always here to help you, so give us a signal if you need to make any updates or modifications to the search for your next used car, truck, or SUV. By following along with these best practices, Boardman Nissan is positive the pre-owned vehicle that suits your desires (be it a Nissan Certified Pre-Owned or an offering from a different automaker) will be parked in your driveway in the blink of an eye. Now that we have come this far, there is probably only one concern left on your mind: "How do I get started with locating the right used vehicle for me?" 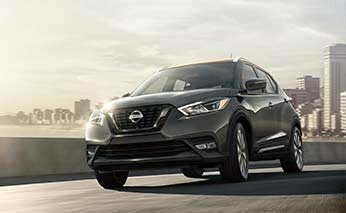 Luckily, beginning this trek is as effortless as filling out a fast form or grabbing your phone and committing to a quick telephone call to Boardman Nissan. All we ask of you is to simply fill out the application found on this page when you have a moment (remember to be as detailed as you can! ), and we will handle the rest. 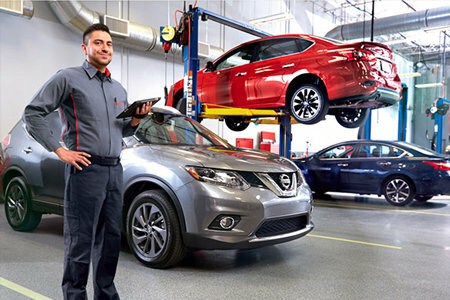 If you would rather talk about this process in increased detail, set aside a moment in your hectic schedule and connect with us at 330-726-5555 or drop by when you are in the neighborhood; we never require a scheduled visit with us because Boardman Nissan's front doors are always open to our good friends in Youngstown and Boardman!